This meal will be on your table in, literally, just a few minutes, so it’s also a FAST dinner! 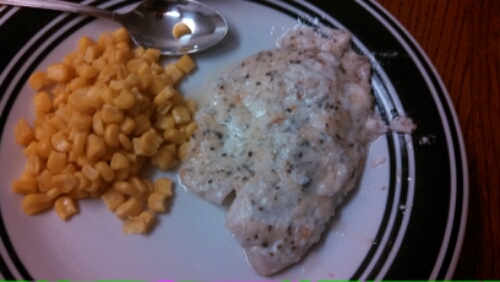 I paired it with corn, but you can pair it with rice, quinoa, etc…fish, in and of itself, is incredibly healthy, however adding in the mayo, cheese, and butter kind of amped-up the calorie count, hence I decided to make the side dish light. In sum, it’s so good. It’s fish. It’s quick. It’s simple. It’s moist. It’s creamy. It’s flavourful. It’s…well…everything! Ok, one side note. Broiling. This has always been tough for me, since my broiler has two options, low and high. If I broil something on high, it burns in about 30 seconds. I am not sure if the low setting gets the same effect. Other broilers (like my mother’s) have one heat setting. I have found that every single recipe I’ve read involving a broiler, does not specify the low or high setting, making it a bit frustrating. In any case, I broiled on low, and then turned it to high in the last 1-2 minutes (watching it like a hawk for burning). Let me know if you have any suggestions for me! -Preheat the broiler. Line a pan with aluminum foil, and spray foil. 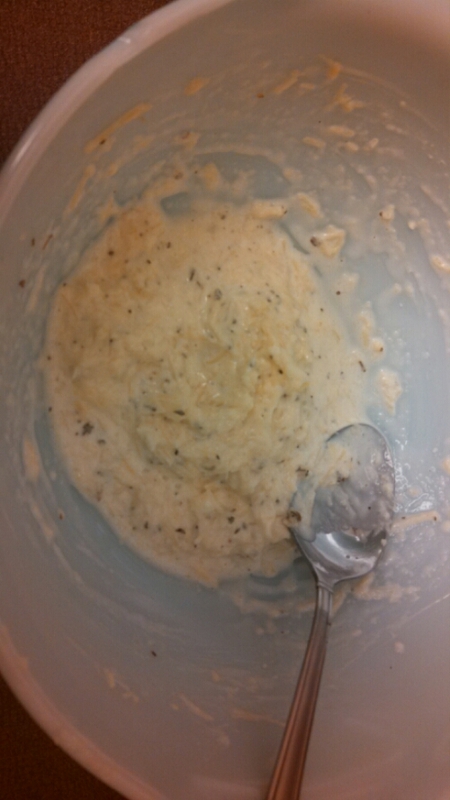 -In a small bowl, mix together the Parmesan cheese, butter, mayonnaise and lemon juice. Season with dried basil, pepper, onion powder and celery salt. Mix well and set aside. 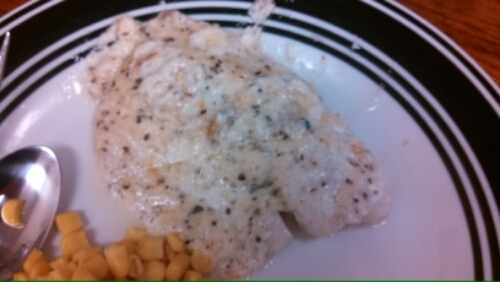 -Arrange fillets on the pan. -Broil a few inches from the heat for 2 to 3 minutes. Flip the fillets over and broil for a couple more minutes. -Remove the fillets from the oven and cover them with the Parmesan cheese mixture on the top side. 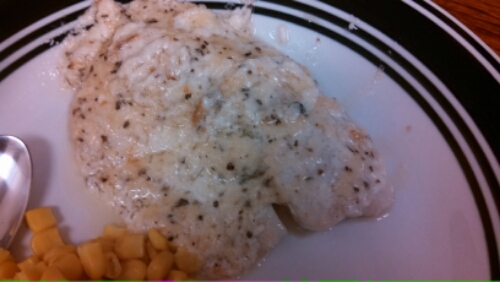 -Broil for 2-3 more minutes or until the topping is browned and fish flakes easily with a fork.